Patrick is joined by Rob Galluzzo of Shock Waves and Dread Central Presents to talk about some of their favorite releases from horror home video labels. 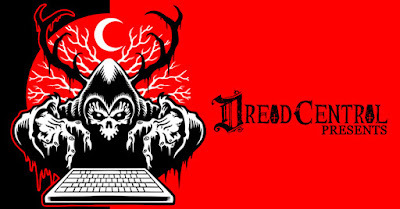 Buy all of the Dread Central Presents titles here! Great discussion. These dives into your favorite boutique labels always hurt the wallet but I love them. Like any self-respecting horror fan I've been aware of Dread's new label and had been checking out a few of the movies on streaming. But this discussion blew me away on how much care is being put into the film selections and physical releases. Definitely preordered Extremity while listening to this. Can't wait to check it out! Awesome episode that somehow got me EVEN MORE pumped for October... if that was even possible. Such a great podcast. Thanks. I’m mean Rob G and PB, this is a shared universe I can get into! Perhaps it’s more like the “Wonder Twins”. You guys touching rings and speaking “Podcast Powers Activate”. Love this episode! I was driving and trying to make lists!I need to re listen on my pc with ms word open. I have a chance to see Extremity in a new theater an hour away. Since Patrick said it would be his favorite but technilly isnt out yet, I'm going to do so. Plus this podcast has me pumped on it. I really liked Nina Forever when I watched in last #SMM.